This year, RIT’s School of Media Sciences honored the American Antiquarian Society, a national research library and learned society in Worcester, Mass., with the Isaiah Thomas Award in Publishing in recognition of its outstanding contributions to the industry. 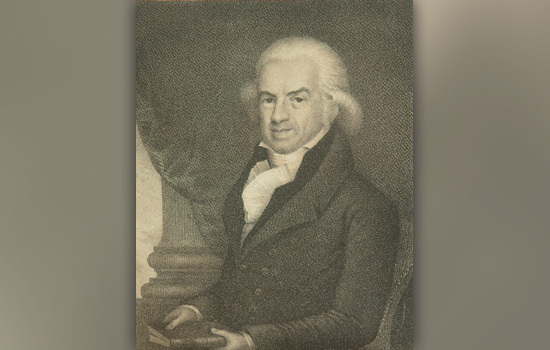 Currently celebrating the 200th anniversary of its founding by the patriot printer and publisher Isaiah Thomas himself, AAS is dedicated to advancing the mission and legacy of its founder. Its vast and highly accessible collection of history, literature and cultural documents spans the life of America’s people from the colonial era through the Civil War and Reconstruction. Past winners of the Isaiah Thomas Award include RIT’s seven Pulitzer Prize-winning alumni who’ve won a combined 11 Pulitzers in photography (Paul Benoit, Robert Bukaty, Ken Geiger, Stan Grossfeld, Dan Loh, William Snyder and Anthony Suau); Katharine Graham, president, Washington Post Co.; Thomas Curley, CEO and president of The Associated Press; and the late Arthur Sulzberger, chairman and publisher of The New York Times.